I am the co-founder and head trainer at OhMyDog! 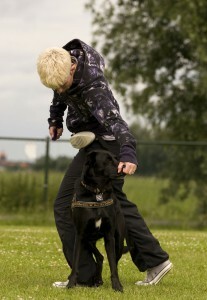 (dog training school in The Hague). I also own Canis bonus, a behaviour therapy practice. I graduated in Zoology, and am a licensed dog trainer and certified applied animal behaviourist. After my day job, I review dog books and write about behaviour for my blog and other specialist websites. If you are near The Hague and have dog behaviour issues, drop me a line. I work in English, French, or Dutch and only use animal-friendly methods. You can find out more on my training page. 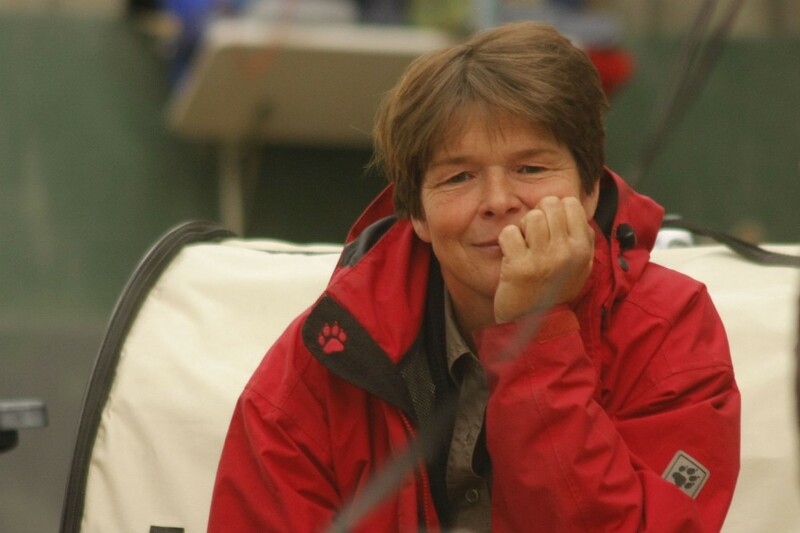 Jolein van Weperen lives with Henry – or the love of her life as she’d rather call him – and their canine female trio: Mees, Pleun, and Jonne. 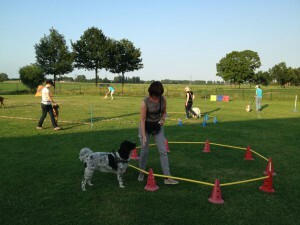 The Jolein-Henry tandem run de Laar, one of the most influential Dutch dog training school. 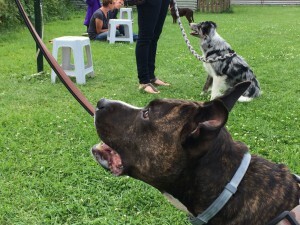 The school (located near Arnhem in the Netherlands) is reputed for its creative teaching style and the countless happy and self-controlled canine graduates it churns out. As THE Dutch venue for international trainers, de Laar is also one of the most important cultural hubs for force-free training in the country. 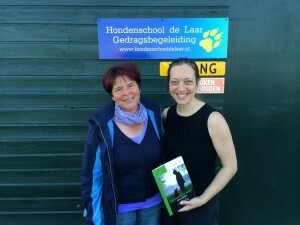 Jolein has recently published her training philosophy in her book ‘Luisteren is leuk’. By popular demand, ‘Luisteren’ also got translated into English and yours truly had the honour of helping a little with that project [see ‘Find out more about Jolein’ for details]. LV: Have you always had something for dogs? JvW: Oh yes. 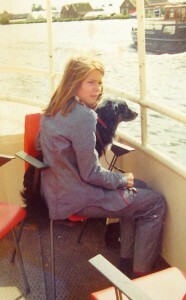 I remember this female at the shipyard when I was little. She was scared of everyone. I would sneak out there to feed her treats. I got my first dog, Maro, on my seventh birthday and it’s been an endless string since. LV: Tell me about Pino, the dog in your book. We noticed that he was always getting sick. 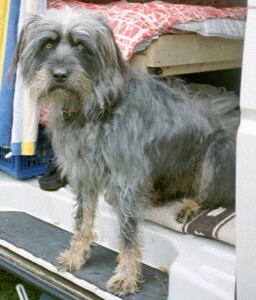 Also, as he got older, his behaviour towards other male dogs got worse and worse. I went to my vet for advice and he said I had to be “firmer” with him. I also went to my local training club and they said I needed to jerk hard on a choke chain each time he did it. I managed to do this three times but it was too heart-breaking. The mere sight of the chain was enough to make him crouch… That’s when I decided that if others couldn’t help me, I would have to find out by myself. So I started plowing through what feels like a million dog books. In the meantime, the vet had recommended castration so we followed his advice. Pino died right there on the operating table. The post-mortem revealed he suffered from a heart disease, among other things. Many of his organs were so damaged. We finally knew what had contributed to the behaviour problems. So it was a traumatic start to dog behaviour. LV: But you continued to find out more, and educate yourself? JvW: Yes. I first got Quiebus’ Ethology certificate. Then I followed their Dog training instructor program, and finally I got the certificate in Behaviour therapy. I started training professionally in 2005. LV: When did you start adding your own twist to the programs? JvW: It started pretty much as soon as I got my certificate. I was drawn to creative teaching from the start. LV: What do you mean with ‘creative teaching’? JvW: We focus on keeping the dog engaged and showing self-control, through all sorts of real-life exercises. And we keep things varied. LV: So you don’t teach the traditional sit and stay at your school. What do you typically teach then? LV: That literally means ‘bra WC’ in Dutch, right? Quite the mnemotechnic! What does it stand for? So, for example, we help them practice self-control around bikes or joggers through specially designed exercises. LV: And what is the ‘contact’ part? JvW: It’s the habit of keeping a connection to the handler, particularly around every day distractions. When you have reached that level of self-control it makes it much easier to succeed in formal tests like the GG [Gedrag en Gehoorzaamheid, Dutch national exam in (dog) ‘Behaviour and Obedience’]. LV: Say I wanted to register for one of your courses, how many classes do I need to make it through one cycle? JvW: We don’t teach in modules of a fixed number of classes. We sell in blocks of five classes for administrative reasons, but there is no fixed end. It’s more a program where people keep coming as long as they’re enjoying themselves. That can be three months or… five years. LV: How in the world can you keep someone interested for FIVE years?! JvW: We focus on creative training, so we use lots of variety in our exercises and their rewards. LV: Talking of creative training, you started giving creative training workshops for instructors. Can you tell me about that? 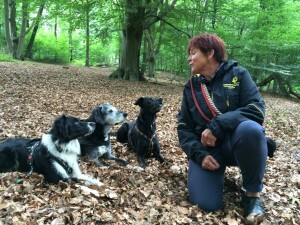 JvW: It’s called ‘Les geven hondenschool dat kan anders’ [Teaching in dog training schools: things can be different] We show instructors how to teach with more variety, and how to design exercises that really prepare the dog for real-life situations. 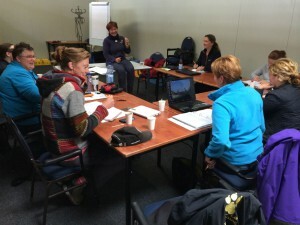 LV: De Laar is renowned for its use of enrichment tools in training. So you’re not a ‘cookie reward school’? JvW: That’s true. We don’t necessarily use food in rewards. We keep it varied. So we work a lot with brain games, and with the Green, with balls, etc. And we make our own toys too. We try to come up with rewards that are engaging for the dog, not just a quick treat. Take the tug-of-war exercise. We have designed a few variations around that central theme to keep it fresh. We made a nice video of that, actually [see below]. LV: Why do you focus on play so much? JvW: We find that many dogs – particularly pups – are more motivated by play than by a quick treat. Play can also prevent lots of unwanted behaviour and it’s great for your relationship with the dog. We actually give each student a Fleece rope toy to take home, as a present. We ask them to bring it everywhere and to really integrate it to their everyday life. LV: I share your values when it comes to force-free training, and as a result I am often confronted with this question: doesn’t force-free mean a lack of boundaries? How do you address such criticisms? Take the 1.3-meter leash, for example. That 1.3 meter becomes the dog’s framework: when its taut, the dog can’t go where he wants to go; when it is loose, the dog gets to keep on walking. So we teach the handlers to become the provider of all good things for their dog, as a reward for the dog showing self-control. LV: And how do you respond to the perception that positive training takes longer to show results? How do you compete with the deceptive appeal of a quick fix? JvW: In my experience, we actually get quite quick results. Take using daily meals as enrichment opportunities. You can make it a habit with very little effort, and you nearly instantly get a calmer dog. Also, we reach our goal through gradual steps that are so small the dog can’t make a mistake. So we end up with reliable behaviour much quicker. But people have to give it a chance in the early stages. LV: For some people, using force has become second nature. I find it a very hard sell to turn that around in the more extreme cases. How do you approach this? JvW: Telling off your dog, or jerking his leash, can be deeply rooted habits. Some people have been rehearsing these for years. But when they come and see one lesson, they are always struck by how calm everything is in our training. To us, ‘rust is een must’ [roughly translated, ‘calm is a must’. Sorry guys, it just doesn’t have the same ring in English]. We give the dogs relatively few instructions, as we let them work it out themselves. But that can only be done from a place of calm. One of the most rewarding thing to hear is when people come back to me to tell me that our training has also changed the way they interact within their family, not just towards the dog. My final question on the training controversies: I frequently get confronted by trainers following what they have coined the ‘natural method’. They swear by the pack theory, assuming the motivation behind every canine behaviour is to raise their status in the ‘pack’. That ‘back to nature’ message is very appealing to the public, despite being strained by severe criticism through decades of inconclusive research. How do you avoid getting frustrated at the eternal popularity of that message? JvW: I don’t react to everyone’s opinion, I don’t pick every fight. But if I must talk about leadership, I use this example: imagine your dog wants to go to the garden. Then you can see yourself like his gatekeeper. 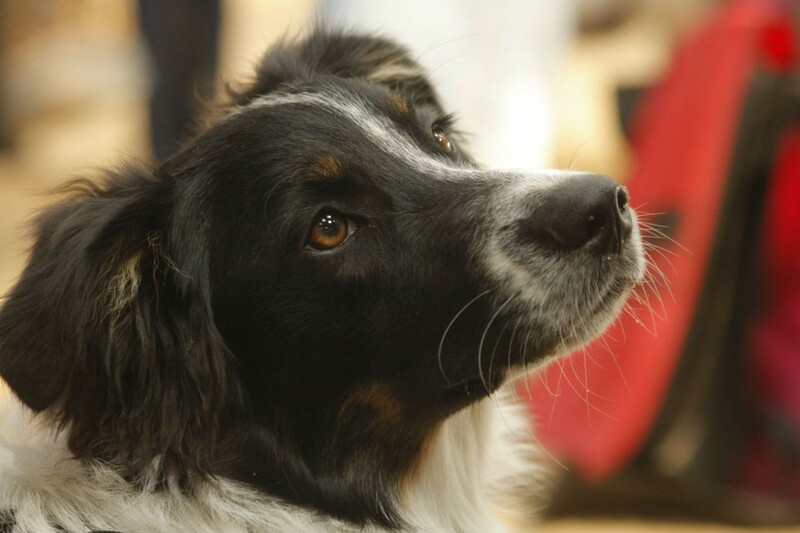 To get out, he must do the contact exercise – sitting and making eye contact [The contact exercise requires the dog to spontaneously sit and make eye contact with you]. It’s just about making his access to good things dependent on his behaviour. Before you know it, that contact exercise becomes automatic and the dog is sitting and asking nicely for every privilege, and showing great self-control. And there is no need to use leadership as an explanation for this. LV: But sometimes it’s hard to shut up, no? JvW: I have a rule for myself: I never give unsolicited advice. We have a Facebook group for our interns, for example, and I know that I should just skip past some videos there. I don’t get let myself be disturbed by people who think differently. I keep the company of people who give me energy. At the start, I wanted to save every dog but now I only invest my energy in people who genuinely give it a chance. LV: You got some world-famous trainers to give seminars and workshops at De Laar. How on earth do you pull it off? Take Emily Larlham from Kiko Pup for example. JvW: Emily is a real mentor to me. She actually looked through our course materials and gave very specific input about what exercises should be in and which ones should be scrapped. That’s how I took out the ‘no’ exercise, for example. The first time she came to present here was Henry’s surprise birthday present to me! LV: Wow, what a husband! And it’s not just Kiko Pup. You also got Grisha Stewart, and plenty more. Do you apply specific criteria for the kinds of speakers you invite to speak at de Laar? JvW: I don’t necessarily have to agree with every little point, but it must be thoroughly positive methods at the very least. 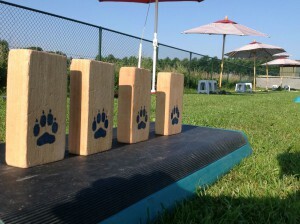 LV: You are carving quite a name for yourself in Dutch dog training. What is your proudest achievement since you’ve started? JvW: I love that the ‘happy here’ has become such a household name [the recall protocol recommended by De Laar]. Our students tell us they hear it all over the country now. And we see more and more people just bringing a rope toy wherever they go as a means of rewarding the dog there and then. And of course we see more and more people carrying that actual fleece rope toy we give away. LV: You have worked tirelessly for a move away from the use of force in training. Do you think that us, the Netherlands-based force-free trainers, are collectively making a dent? Do you see a trend in the right direction? JvW: I do notice a move in the right direction. I think the social media is playing an important role here. If people are curious about it, they have an easy place to find out more nowadays. So I do see progress towards more positive training in The Netherlands, and who knows how far it will go. There is one thing I am sure of: if you keep your eyes and ears open for them, and you’ll see and hear beautiful things. This entry was posted in Dog pros: a day in the life and tagged Behaviourist The Hague, certified dog trainer, creative teaching, de laar, dog trainer, dog training, dog training book, dog training netherlands, dog training the hague, dutch dog trainer, dutch dog training, force-free training, hondenschool arnhem. Bookmark the permalink. Post a comment or leave a trackback: Trackback URL.